This Indian Guy In Dubai Just Bought A Licence Plate For More Than RM37 Million! The crazy part, though? It's still not the costliest license plate in the world. Yep, you read that right. RM 37.3 million just for the number plate, not the car. 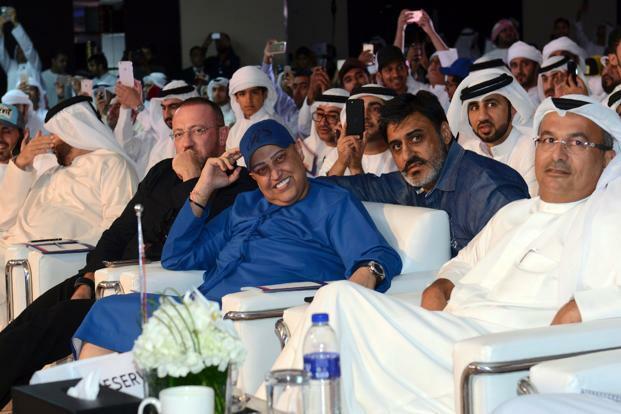 Dubai-based Indian businessman Balwinder Sahani (dressed in blue, wearing a hat). The license plate number is 'D5'. It was sold at a government auction last week. The Indian businessman bought the number plate for one of his Rolls Royces. Sahani after winning the license plate. Sahani, also known as Abu Sabah, is the owner of RSG International, a property management company, with interests in the UAE, Kuwait, India and the United States. 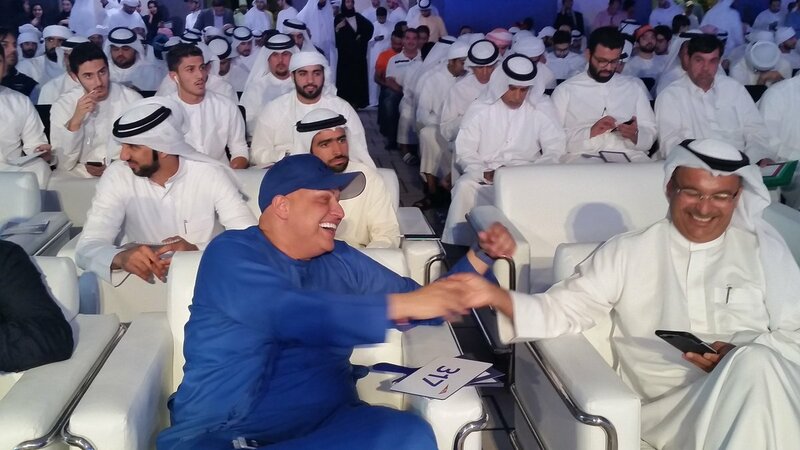 The bid for 'D5' number, which started at 20 million Dirhams, generated great interest among more than 300 bidders participating in the live auction. According to Ahmad Hashim Behroozian, CEO of Roads and Transport Authority's Licensing Agency, it was the biggest auction they have seen so far, with the number D5 being the biggest draw in the RTA’s auction history, reported Gulf News. Speaking to Gulf News after winning the 'D5' plate, Sahani said that he likes collecting unique number plates and he is proud to have got this number. "I like number nine and D5 adds up to nine, so I went for it," Sahani's reason for shelling out more than RM37 million for a mere license number plate. 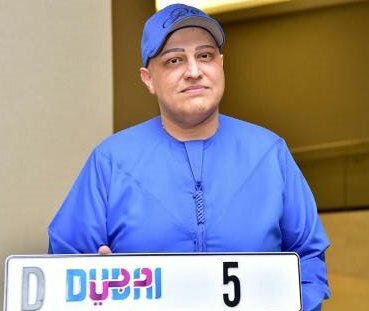 How much he likes the number nine is pretty evident from the fact that he bought the vehicle plate number 'O9' for 25 million Dirhams last year. "I have collected 10 number plates so far and I am looking forward to having more. It's a passion. This number will go to one of my Rolls Royces," he was quoted as saying. The crazy part, though? At RM37.3 million, Sahani's license plate is still not the costliest license plate in the world. In United Arab Emirates (UAE), auctions of special license plate numbers are a big draw. Because a shorter number is a status symbol coveted by the wealthiest of the wealthy. For example, back in 2008, a businessman named Saeed Al Khouri, paid a whopping sum of 52.2 million Dirhams for the number '1' on his license plate in Abu Dhabi. That's close to RM60 million for you in Malaysia, an incomprehensible amount of money for a mere licence number plate. It's a record for UAE which to this day have not been surpassed. It's the world's most costly license plate number. And when he bought the number '1', Saeed Al Khouri was merely 25 years old. After he won the auction, his brother was reported saying that the amount was "normal" for his family, adding, "I was prepared to spend as much as 100 million Dirhams." And they are doing it just for fun! He gave an absolutely absurd answer to a very important question. A reality that's rarely seen.